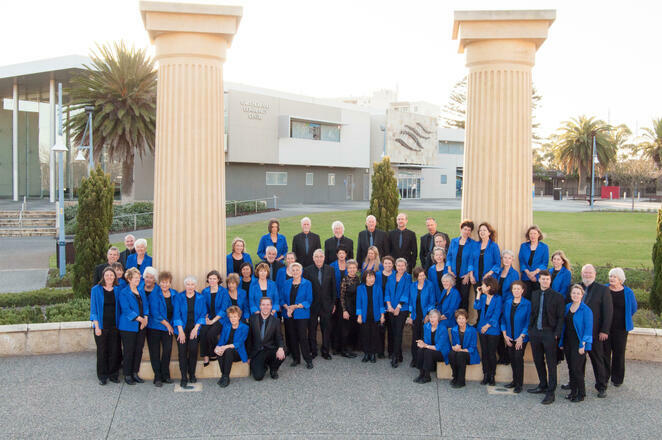 The nationally renowned Perth Symphonic Chorus is presenting a wonderful year of spectacular choral singing in 2019. 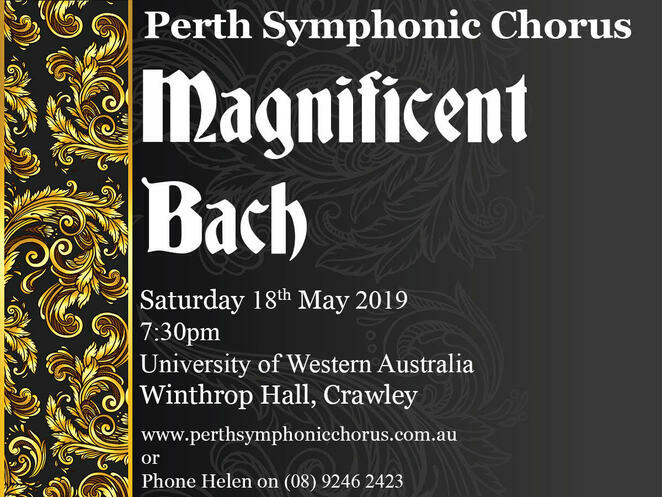 Their first event of the year is 'Magnificent Bach' on Saturday 18th May 2019, 7:30pm at University of Western Australia Winthrop Hall. Indulge your love of Baroque music and come listen to the marvellous Perth Symphonic Chorus present one of Bach's most jubilant and sparkling choral works, his glorious Magnificat for soloists, choir and orchestra. Its virtuosic and brilliant vocal writing, thrills and inspires the listener to heights of spiritual balance and wonder. Splendour and jubilation will be further delivered through the Brandenburg Concerto no.4 for strings with its exuberant and extraordinarily dramatic writing. Complementing these two works is the most well-known and loved of short choral masterpieces: Vivaldi's Gloria. Under the baton of Dr Margaret Pride OAM, the chorus has gained a reputation for choral excellence and masterful interpretations. Bach's virtuosic and exhilarating music never fails to entrance and the joyous nature of Vivaldi's Gloria makes it an audience favourite - Don't miss 'Magnificent Bach'.